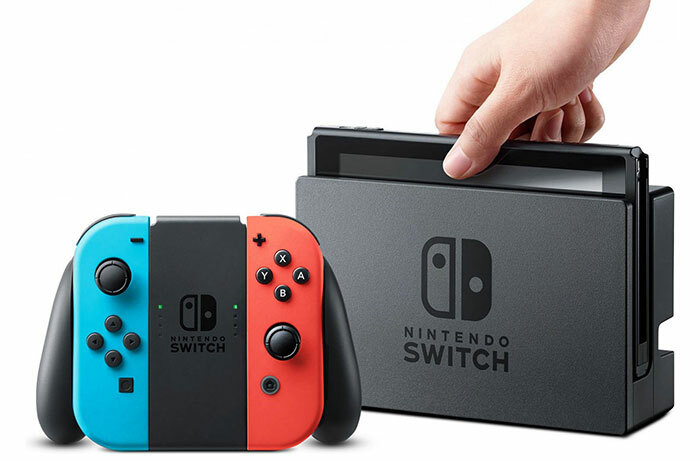 According to a report published by Japan's premier financial-focussed news outlet, Nikkei.com, Nintendo is planning an interesting new Switch console for 2019. Nintendo Everything checked though various English translations of the article and the essence of the industry sourced rumours is as follows: the new Switch console will be miniaturised, focussed on portability, and playing on the go, but there would be some features cut. Without any concrete information of what snips and tweaks Nintendo might make to the Switch to create this new SKU, Ars Technica does a good job of weighing up a multitude of possibilities, given the sizing/pricing brief. The most obvious move, according to Ars, would be to dump the dock. This dock is currently available at $90, and its removal could have a big impact on the current system's MSRP of $299, for example. Whether the new Switch portable would even be docking compatible is another question. With more portability a headline wish, other changes could include; a smaller screen making a lighter, more energy efficient unit, and reduced bezels. In an earnings report published yesterday, Nintendo revealed that it has now sold over 32 million Switch units, approaching the level of success of the N64. If it could breath new life into the Switch with a portable, it could go even further and provide an answer to what will succeed the 3DS handheld. Furthermore, that would provide a unified platform. 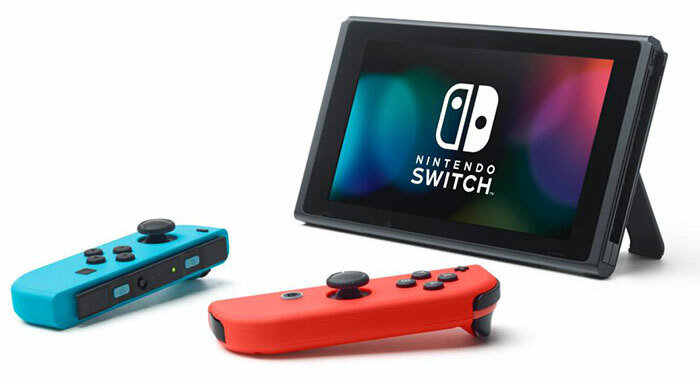 Suppliers and some developers already know of the portable focussed Switch, Tweeted Nintendo Life's Steve Bowling, but he reminded us a pinch of salt is still required, even with such well sourced rumours as the Nikkei, and the WSJ last year. Sounds like a good move - I assume this is the new console that was rumoured last year…and this fit's Nintendo's MO perfectly in terms of releasing v1 hardware and then a v2 which is smaller/less featured to cut the cost a little. A bit like the 3Ds and then 2DS, or DS and DSLite. Not something that will likely interest me directly, as I find the switch portable enough as is, but as I very rarely actually play with my Switch in docked mode…I can certainly see how an even more portable, non dockable version would be appealing. Particularly if its some £100 or so cheaper. Hopefully they'll sell some sort of adapter to play it on a tv etc, that's also backwards compatible with the existing Switch. I'd love a second dock for another TV in the house, but they're hideously expensive for what they are. 7nm could make this a pretty good product. I won't be too impressed by the same crap in a different box. If it has 7nm soc and plays tegrazone games/googleplay android stuff, I might buy this. These are not negotiable however. It should be a bare minimum with an NV soc inside it. So many more games you can get cheaply on android, if you don't have these, forget it. Now that 7nm is basically on top of us, I can't buy anything else. PERIOD. 8700k/1070ti last things I buy that are not 7nm (or better…LOL) in chips. There will be massive watts/heat drops on 7nm vs. either things mentioned. Can't wait for 7nm AMD apus (2-3 htpc's to fill), AMD cpu (12-16 core 7nm I hope), and a 7nm vid card from the winner this xmas (whoever is watt/heat winner, perf 2nd for this card, hot room so…all about the heat on this one). 1. The switch is on 20nm currently, which means even just going to 14/12nm could be a large boost alone. 2. Nvidia doesn't have 7nm, so they won't have it timely (when they have 7nm, they will flesh out their main products first, taking even longer). 3. Nvidia only sold Nintendo what they did to curb their losses on an old product, there is no way they would sell them brand new tech for any reasonable price. I am doubtful AMD will steal this away from Nvidia but it's not impossible as they have worked together in the past and AMD's GPU's are much better in smaller packages than Nvidias - so with the right price they could make it happen.